Although not a girly girl, I do love fuschia. Baby soft shades have their place on sugared almonds but I prefer deep tones. My wardrobe is full of deep pink cardigans, t-shirts and skirts, even a pair of fuschia linen trousers. The pride of my scant make up bag is a Chanel lipstick in same shade as this fabric above (a Monsoon organza wrap I draped over a similarly coloured velvet dress at an autumn wedding over ten years ago). So this is why this pavlova started out just as rhubarb and white chocolate but I felt it lacked a bit of oomph. 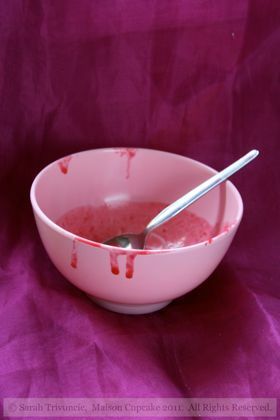 So a handful of last summer’s raspberries from the garden came out of the deep freeze to scatter over the top and splash with a nail varnish toned raspberry sauce. Like a washed out face with a puff of blusher added, that’s better. 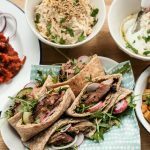 I am honoured this month to be hosting Meeta’s Monthly Mingle from What’s for Lunch Honey. Meeta has plenty of oomph and I’ve been fortunate enough to meet her a few times at various blogging get togethers. I wanted to think of a theme with as much pizz-azz as the lady herself and after several discarded ideas, struck upon THINK PINK. 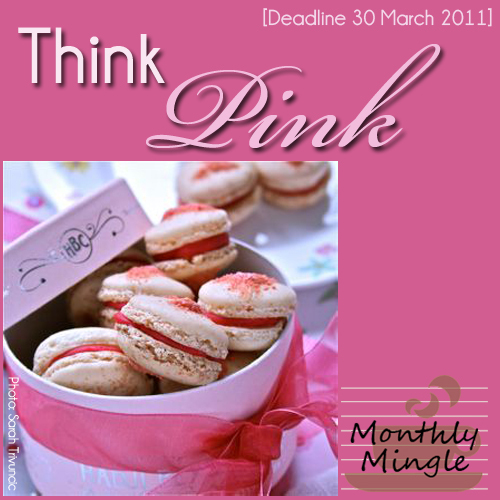 You can submit anything to this month’s Monthly Mingle so long as it prominently features an ingredient that is pink. Quite what shade of pink is down your personal preference. My pictures today are channelling “Walls Vienetta Ad circa 1986” or whatever that product was that a much younger Catherine Zeta Jones used to dive into, possibly cream cakes. It’s so fashionable to have stark white background to your pictures today that when I peruse old cookery books in charity shops, the moody lighting always looks very strange. Alas today it was my way of dealing with dim February light, I’ve grown rather used to holding up bits of cardboard covered in foil at 3pm struggling to bounce the slightest bit of light that crawls in through my not very big kitchen window. Warmer weather can never be guaranteed but at least longer days can – and by the time we have our Mingle round up, technically it will be summertime. Right now I have a fixation with pasteurised egg whites sold in tetrapaks. I use them for macarons since I’m clumsy separating eggs and cannot bear wasting the yolks which often perish in my fridge before I can use them. There’s only so much egg white omelette a girl can eat. 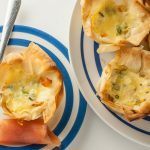 How could I use 200mls of egg white sensibly? Pavlova of course! There are a lot of pans required here to make the meringue, compote, the ganache and the syrup. In my defence however, I must point out that all four of these components can be made in advance at your leisure. 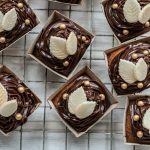 The meringue will keep for a week in an airtight tin and the ganache can be melted in the microwave to bring it back to the right consistency. So piles of washing up are not compulsory here (at least not all at the same time). 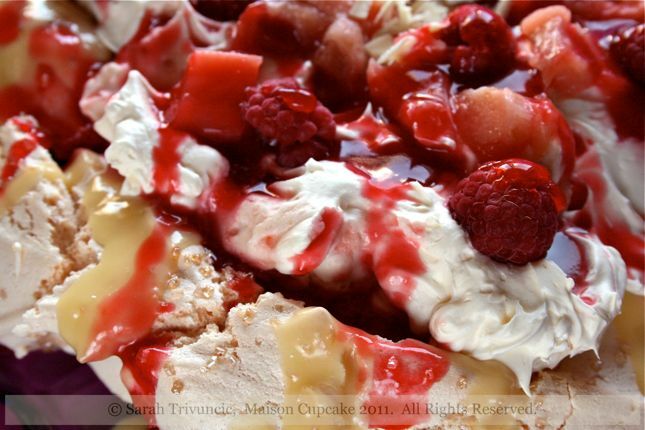 I’d possibly only made pavlova once before this and it was a very long time ago. Not being a huge fan of cream, it’s a dessert I normally pass by. Not so my neighbours though… two sets of neighbours were each given a third of this beauty leaving the rest for my husband. “I loooooove pavlova, it’s my favourite!” said each of them. Which was fortunate else my husband would have been eating it for a week. I’m sure he wouldn’t have complained. Create a dish that fits the Think Pink theme as described above. Post about it on your blog from now till 30 March 2011 (entries must be in English, please). Your creation should be prepared for the current Monthly Mingle theme and shared with a maximum of 2 other blog events. Let’s try and keep the creations as fresh as the ingredients you use. You must provide a link to this post and the official Monthly Mingle page. The round up will be on the weekend of 2/3 April. Happy Mingling! You will need a baking sheet lined with baking parchment. 1. Preheat the oven to 180c /gas mark 4. Beat the egg whites and salt until you get satin peaks. Beat in the sugar a little at a time until the meringue is shiny and stiff. 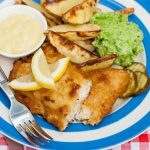 Sprinkle over the cornflour and vinegar and fold in lightly. 2. Mound onto the baking sheet in a round shape. Put in the oven and immediately drop the heat too 150c /gas mark 2. Cook for 1 hour 20 minutes then turn off the oven leaving the pavlova inside to cool completely. (If using an electric oven, Nigella says to open the door. Maybe they take longer to cool down?) When completely cool, put on a pretty plate or cake stand. 3. For the compote, heat the rhubarb, sugar and water in a small saucepan and cook gently for 8-10 minutes until soft but not disintegrating. Leave aside to cool. 4. Repeat a similar process for the raspberry syrup. Heat half of the raspberries, sugar and water in a small pan until the sugar dissolves and the fruit bubbles up. If it turns into jam (very easy with raspberries!) add a little more water until it goes back to a syrup consistency. When happy with the syrupy-ness, strain and set aside. 5. Put aside 3-4 chocolate squares to grate over the finished pavlova. In another pan or a double boiler, melt the cream and white chocolate squares together until smooth. Allow to cool slightly but before it thickens again, spoon liberally over the pavlova shell. 6. Whip the double cream until thickened. Pile the cream on top of the white chocolate and pavlova base. (Nigella talks about inverting the pavlova shell but I didn’t do this.) Then spoon over the rhubarb compote and drizzle with the raspberry syrup. Dot over the rest of the raspberries and finally grate over the remaining squares of white chocolate. A divine dessert! I love that combo so much. 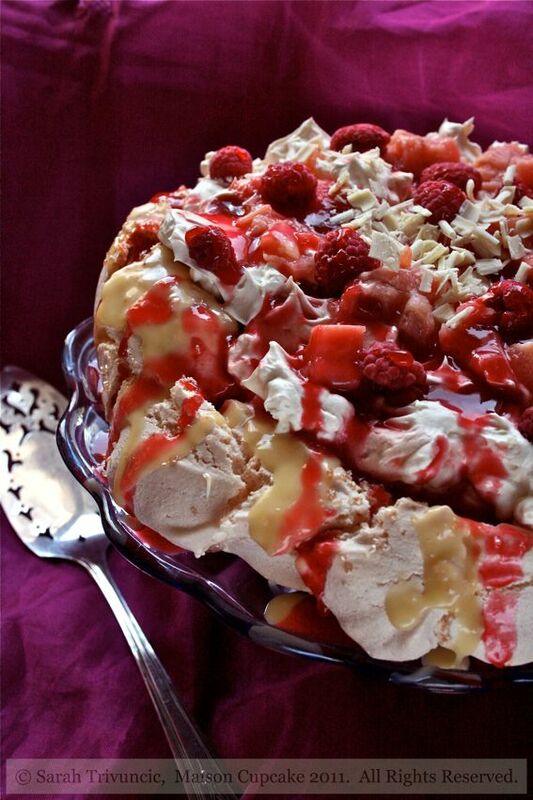 What a stunning pavlova! Like you, I’m not a huge fan of cream but oddly I do enjoy pavlovas and make them quite regularly. But I’ve never made one like this – what delicious flavours. Love the idea of the white chocolate ganache poured over the meringue base. Yes the white chocolate certainly was a worthwhile addition here! YOu think of PINK when you think of me? Oh I need to wipe that image off your mind LOL! But I am so looking forward to this MM! Thanks for being my hostess! Meeta, it’s an honour and a privilege! Oh Sarah..ive the same fixation now too…egg whites sold in tetra packs…dont you love them?i mean for the amount of macarons I make I end up with like 100 yolks…what the hell are we supposed to do with them? Make lemon curd! Why waste the yolks, lemon curd keeps for ages in the fridge. Hello! Love the fuschia and that pavlova will make a pink lover out of me too! I have never seen egg whites in tetra packs in these parts. Best I start learning to bake if I want to part take in the challenge! They’re quite new here but a wonderful idea. I hope we get to see you later in the month! Awesome event.. Will try to send something..
That is an impressive dessert. Lucky neighbors! I’m lucky to have such lovely neighbours and it’s fortunate for me they like cake! 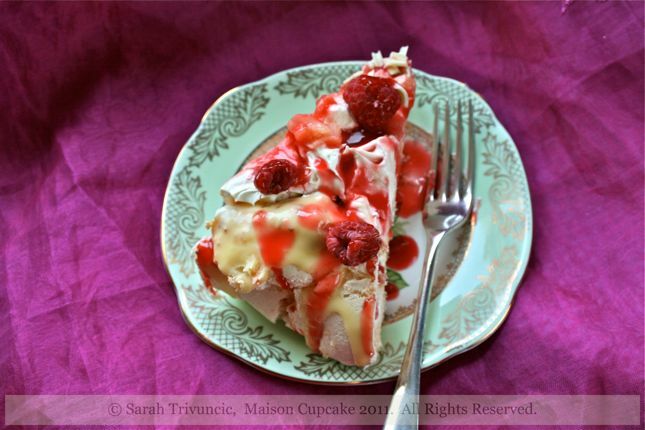 OMG the pavlova is my fav.. with the rhubarb and the white chocolate ganache.. simply fabulous. 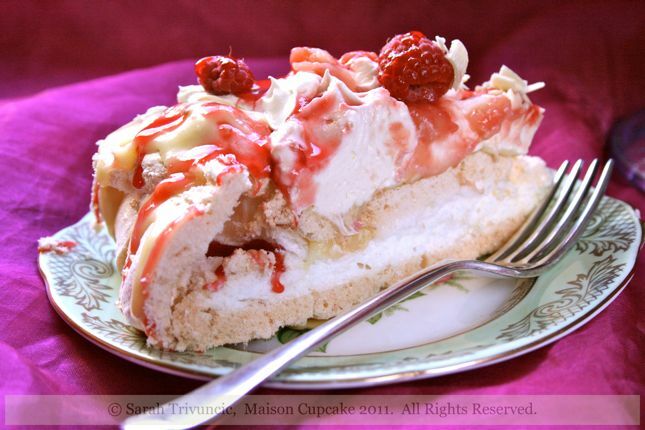 mouth watering!… heavenly pictures… now I just need to go thieving to my neighbours rhubarb patch…. yummy! Ummm..this is a stunning dessert. My girlfriends would go wild. PS – Samoa cookies are sold by the Girl Scouts. They also go by the name Carmel Delights. They are a chocolate, carmel, coconut cookie. They sound great! I want some! Fuschia is one of my favourite colours too! This is so beautiful! 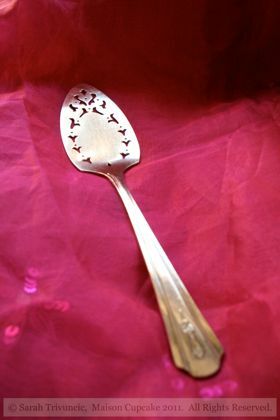 I am now promising to myself to make one this weekend. I can’t wait! The dessert look perfect for a romantic date! Lovely colors, Sarah. I confess, this is the first time I have come across your blog. But, my oh my, what a fabulous introduction. I am subscribed, in awe and positively salivating on my knees. 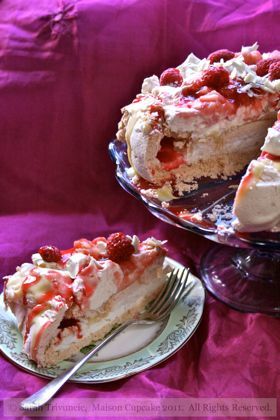 I love pink, I love rasberries and I LOVE pavlova! 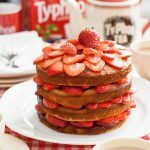 The photos are fabulous and if you think I am giving up my limited and well earned spare time this weekend to attempt to re-create this masterpiece – you would be so right! I hope I get time to ‘mingle’ and submit an entry also. What a lovely thing to say! Thank you! I hope your pavlova comes out mighty fine! very imperresive and look delicious!! Nice event and I love pink color. What a lovely looking pavlova! Hmm, gotta come up with something for the Monthly Mingle now! Thinking pink, deeply pink – thanks for the inspiration Sarah. I’d better get on with it! One suggestion: maybe you could provide readers and bloggers with the html banner code for the pic/event, backlinking to this article? It would make things a lot easier (and you could include the deadlne in the description). Mmmm pink and decadent! 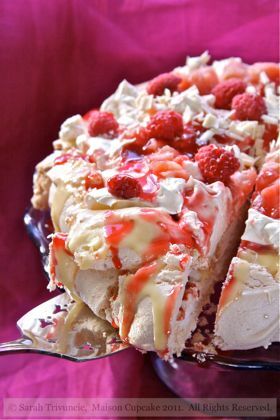 I love pavlova and I love this fabulous dessert you’ve created with all the layers of flavors and textures. The light meringue and the fruit always seem to balance out the creams and sauces, making me feel just a tad less guilty about it all. And the colors are absolutely stunning!!! Am about to post my Think Pink post! Hi Sarah, First time here… Superb pavlova !!! and Wonderful clicks !! Loved them !! Sent u my entry !! Happy to follow u !! Hi Sarah, glad to to have found your blog! What a delicious dessert!! Just mailed you in my entry for the Mingle. 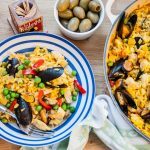 Lovely blog & recipes. 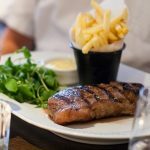 Ive just started blogging and would like to contribute to this event. Thanks, Priya. Think pink, made, posted and submitted. Admit to involving a younger member of my family who is very keen on sweet pink things. Sent a Think Pink entry! 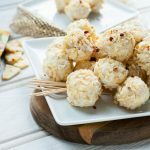 A very simple recipe… not as elaborate and wonderful and gorgeous as yours 🙂 – but really wanted to participate in the Mingle!